HSH the Sovereign Prince participated in the 5th ‘Our Ocean’ conference in Bali, accompanied by a Monegasque delegation. At the opening of a session dedicated to climate change, HSH the Sovereign Prince recalled the importance of this conference, initiated in 2014 by John Kerry, which helps to build the foundation of a new relationship between humans and the oceans by promoting a dialogue between decision makers from different horizons. The past year, marked by many devastating weather events, recalled the urgency to act and the challenge of preserving the ocean in the fight against climate change. Along with its partners Surfrider Europe Foundation, the Tara Expeditions Foundation, the MAVA Foundation and IUCN, the Prince Albert II of Monaco Foundation announced, during the plenary session dedicated to marine pollution, their intention to invest 500,000 euros in the development of the Beyond Plastic Med initiative in 2019, supporting concrete projects to reduce plastic pollution in the Mediterranean. HSH Prince Albert II of Monaco congratulated the initiative taken by his Foundation and the Vulcan group, committing to invest 250,000 US dollars in a global fund for coral reefs dedicated to their preservation, conservation and adaptation facing climate change. HSH Prince Albert II expressed his support for the President of New Caledonia, Philippe Germain, for the protection of the Coral Sea. This immense 1.3 million km² sea is home to one-third of the best preserved coral reefs on the planet. 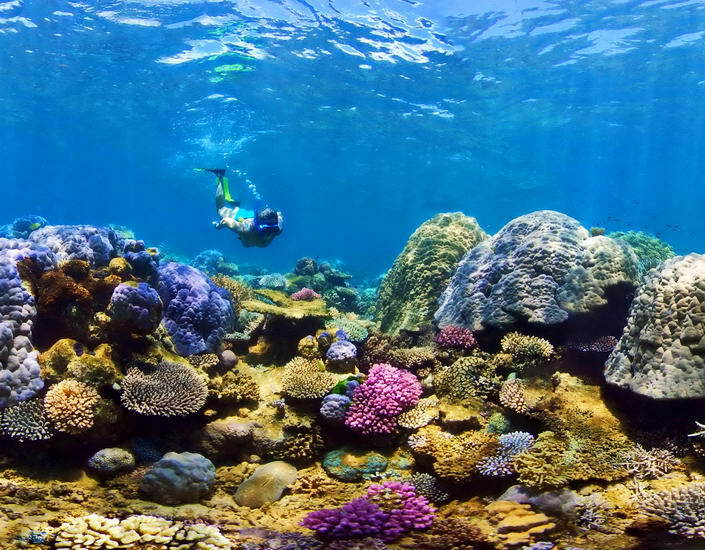 At the conference, Philippe Germain pledged to place an additional 200,000 to 400,000 square kilometres of the Coral Sea Natural Park under protection by 2019. On Saturday, Camille Gottlieb posted one last picture during her holiday in Mauritius, before flying back to Monaco. The selfie shows her lying on a beach, in a black dress with a plunging neckline and is captioned “blue eyes don’t lie”. The confident 20 year old shared some other special moments during her holiday with her 55,000 Instagram followers.